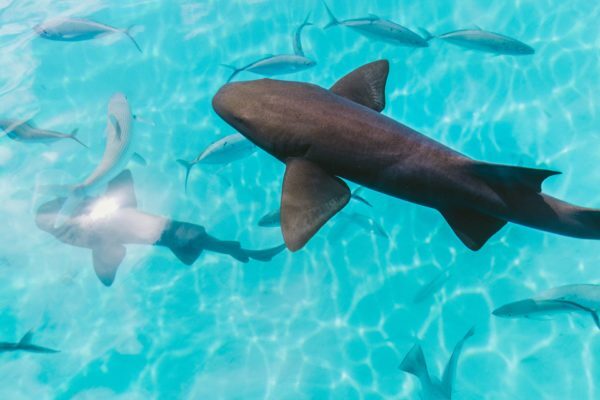 Labeled “The Best Shark Diving Location in the world” plus wall dives, swim-throughs, caverns, canyons and incredible blue water encounters, Fiji is a pristine diving destination. 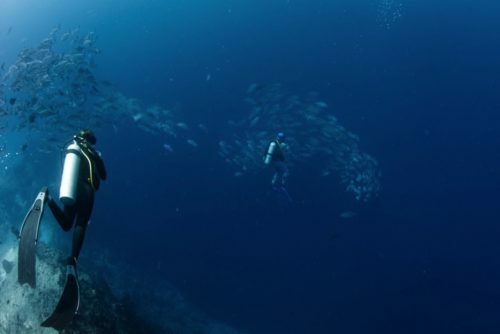 Below, two Marchay members and avid divers share their Fiji experience with us. The strong currents of the outer reefs bring nutrient rich waters from thousands of miles around, and in turn, lure in some of the most diverse life in the ocean. With more than 390 coral species, around 1200 fish species and five of the world’s seven marine turtle species, diving in Fiji truly is an underwater naturalist’s dream. We chose to stay at the Jean-Michel Cousteau Resort located on Fiji’s lush Vanua Levu Island. The first part of our trip was completely dive-focused and the property’s Cousteau Dive Center, which draws on the pioneering experience of both Jean-Michel and his father, Jacques, is perfectly laid out to accommodate divers. 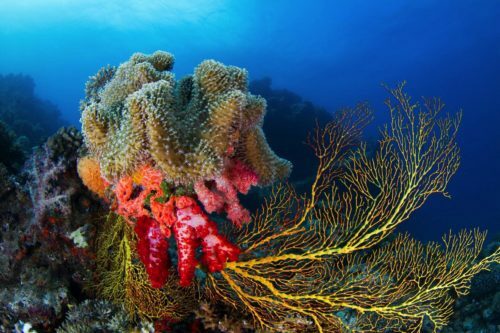 It is a great place for divers of all levels and has access to some of the best dive sites in the world, including the world-renowned Namena Marine Reserve Reef. We became certified in different specifications including deep water, shark diving and night diving. The food in general was very good at the Jean-Michel Cousteau Resort, we found the breakfast buffet particularly great. It should be noted that the beach is not ideal for swimming as it is filled with reef. Most dive sites are 15 – 60 minutes away from the resort by private boat and with a dive master. We witnessed hammerhead sharks, a manta ray cleaning station and we completed numerous dives at a site called “Grand Central Station” which, in my opinion, is truly underrated and one of the worlds’ best diving sites. We also enjoyed seeing the protected area of Namena, abundant with sharks. Fijis’ dive season is year-round. However, the months of November, April and May are considered the most ideal months to visit due to the warmer water, 82 – 86°F (28 – 30°C), and the rainy season that attracts manta rays and whale sharks. 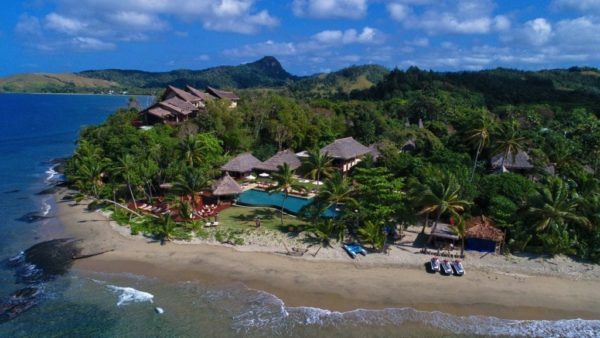 Part Two of our trip was dedicated to relaxing at the Nanuku Auberge Resort which is stretched along two miles of beach on the south coast of Viti Levu. We had a 3000 square foot private villa complete with plunge pool. We saw many children here. (editor note: this property is known to have an excellent selection of family friendly activities as well as an all-day Kids Club). The service at Nanuku Auberge was over the top and the staff was always very keen on helping – at times maybe a little too much! Each villa comes with its own personal butler. The beach here is much more swimmable and gentle than at The Jean-Michel Cousteau Resort. Jetskiis and kayaks are offered to guests. Outside of several water activities, beautiful hikes, waterfall visits and golfing are also on the activity agenda.